We hope you will join us THIS Friday, April 5 at the restaurant La Margarita! All sales through the day will benefit our school as a portion comes right back to us! 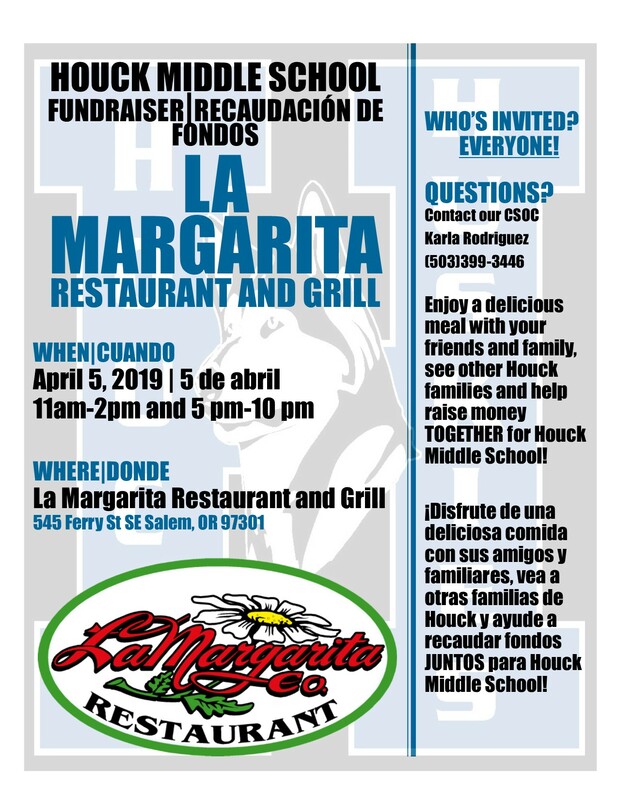 We hope you will go enjoy a delicious meal with your friends and family, see other Houck students and help raise money TOGETHER for our Houck Middle School! The address of this restaurant is 545 Ferry St Salem.